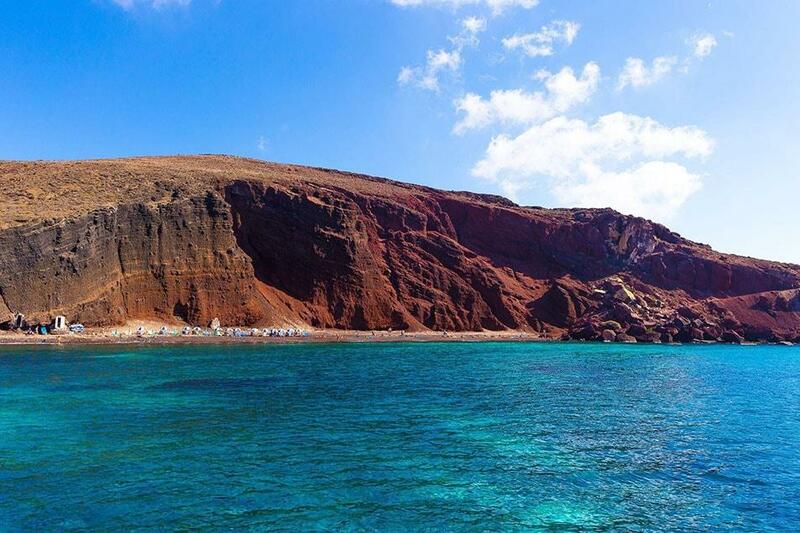 Explore the mesmerizing Santorinian seas, sail towards the volcano and float on the blue seas of the island. 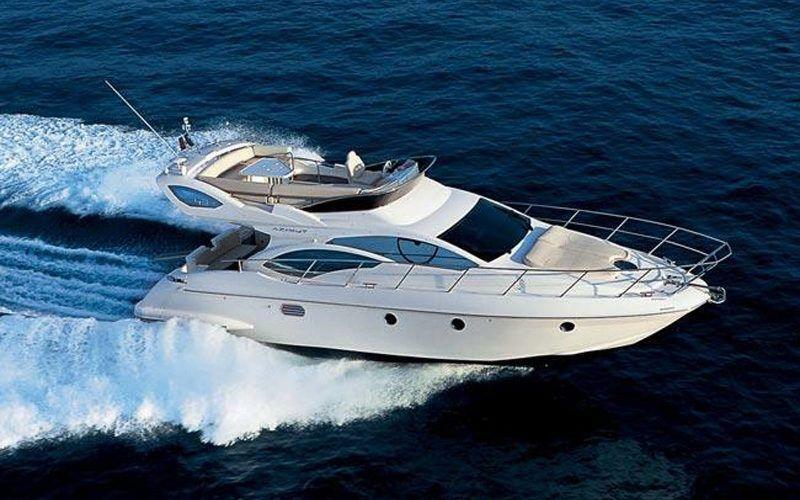 Book now your semi private cruise and enjoy the ride with one of our fleet’s vessels. 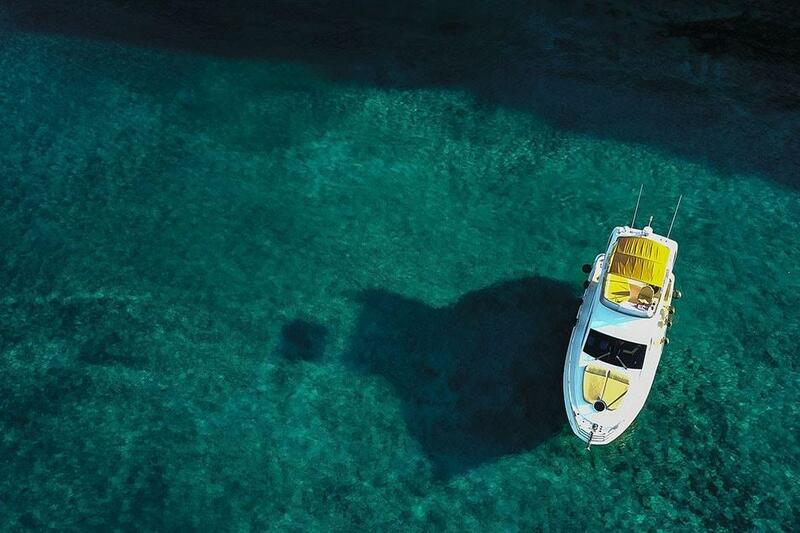 Indulge yourself with the absolute sailing experience. 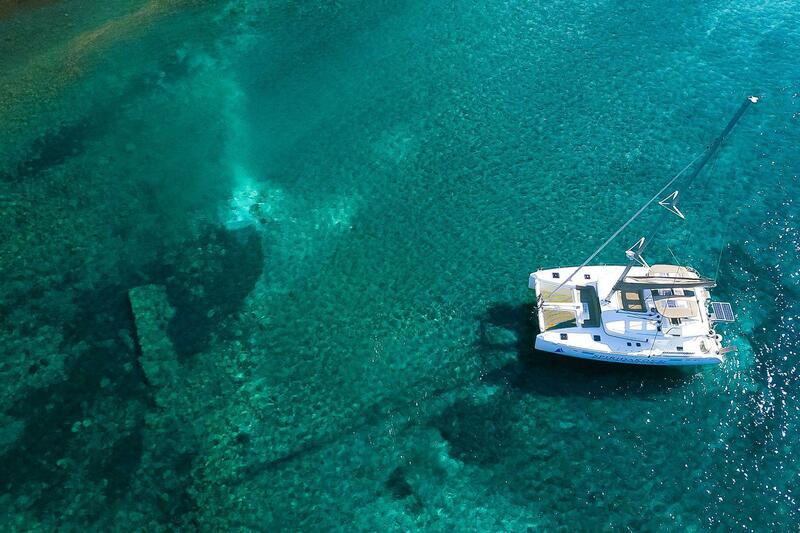 Book one of our vessels and sail into the absolute bliss surrounded by the beauties of the island and your beloved ones. 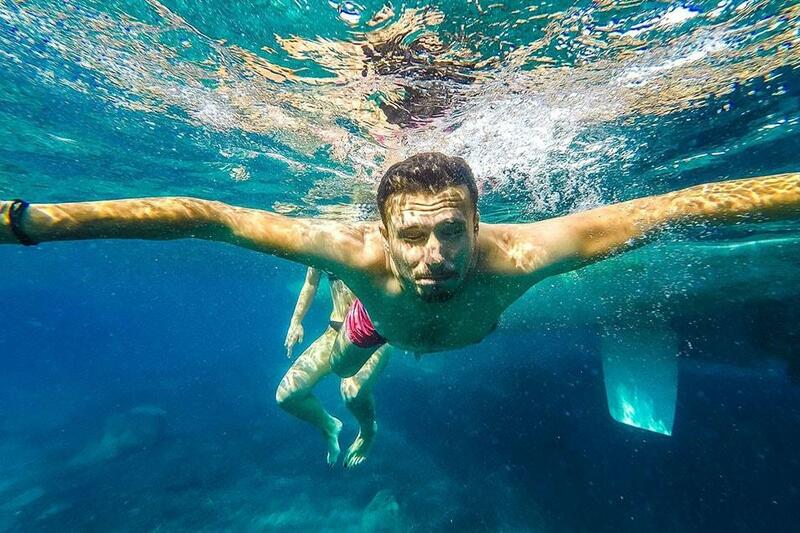 Our team’s knowledge and dedication will attend your special moments. 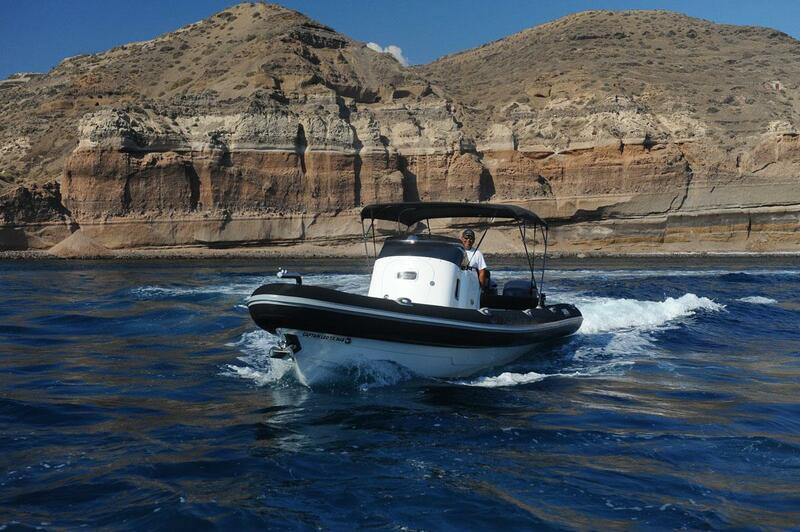 Spend your unique day on board, surrounded by the sea and the energy of Santorini. Captain Leo and his crew welcome you on board the M/Y “Oceanis” where you can experience a voyage beyond the ordinary. 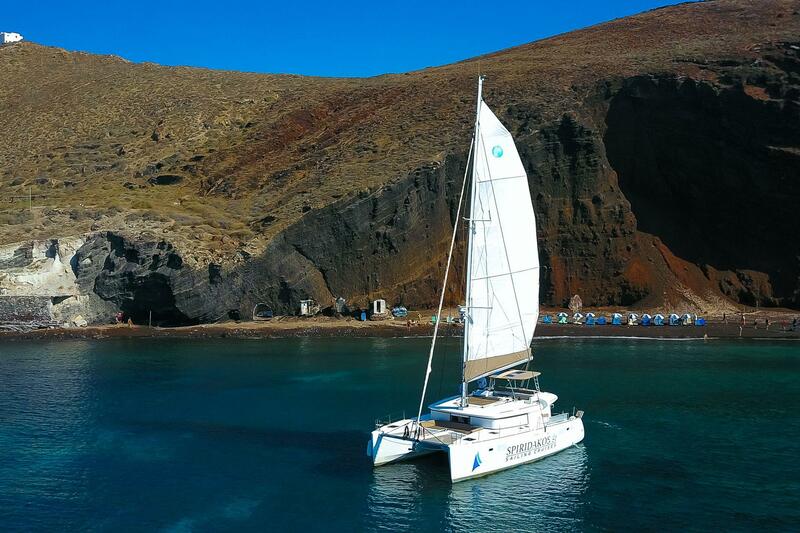 Explore Santorini with Catamaran S/Y “SantΑnna”! 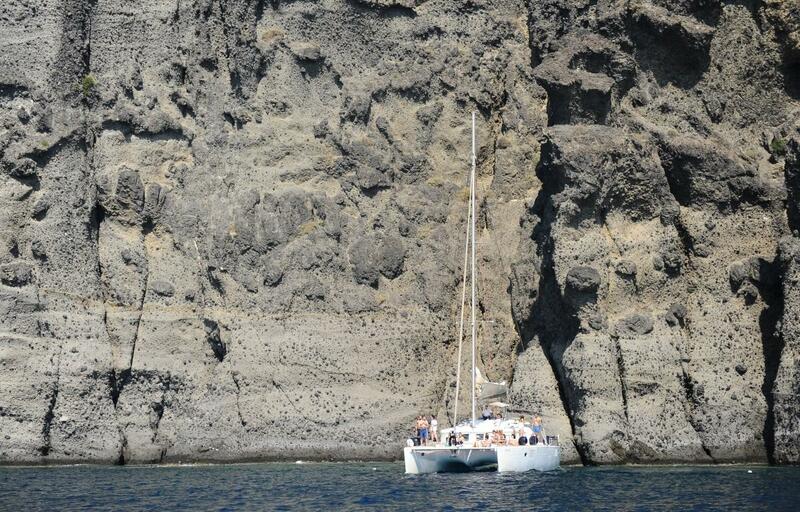 Explore Santorini with Catamaran S/Y “Summer”! 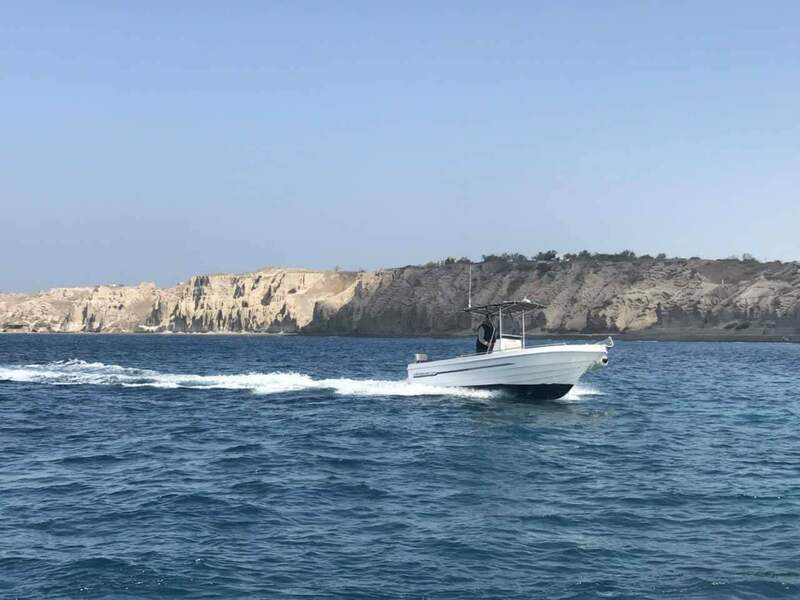 It is a real life’s experience for you to indulge yourself by participating with us on board “Bonita” to our daily day-time or sunset sailing cruises in Santorini and exploring the island’s amazing sights such as the caldera and volcano of Santorini. 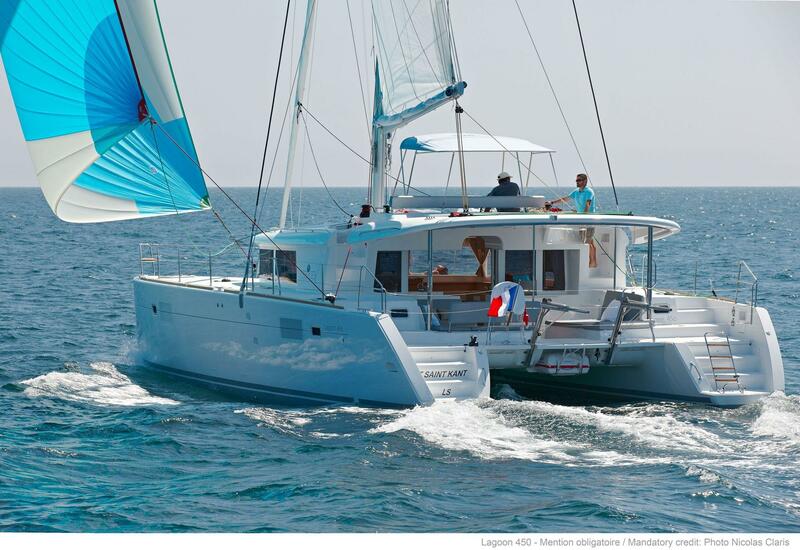 Our S/Y “Captain Leo” is the first Catamaran of the fleet. 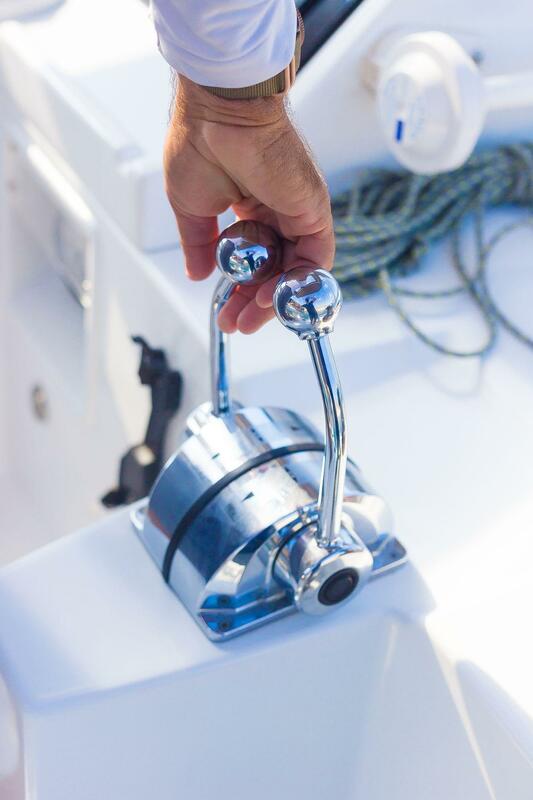 With its simple deck layout, practicability, security and comfort are guaranteed. 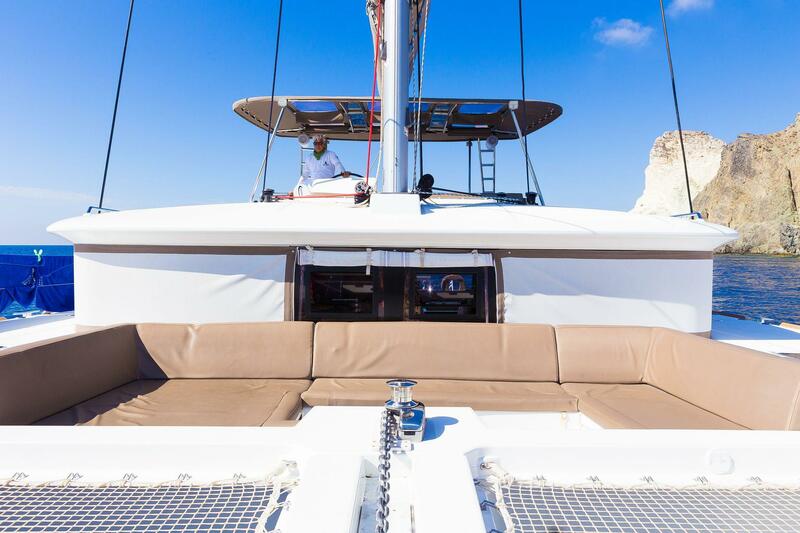 Captain Leo welcomes you on board of the Catamaran S/Y “Caldera” where your holiday fantasies will come true. 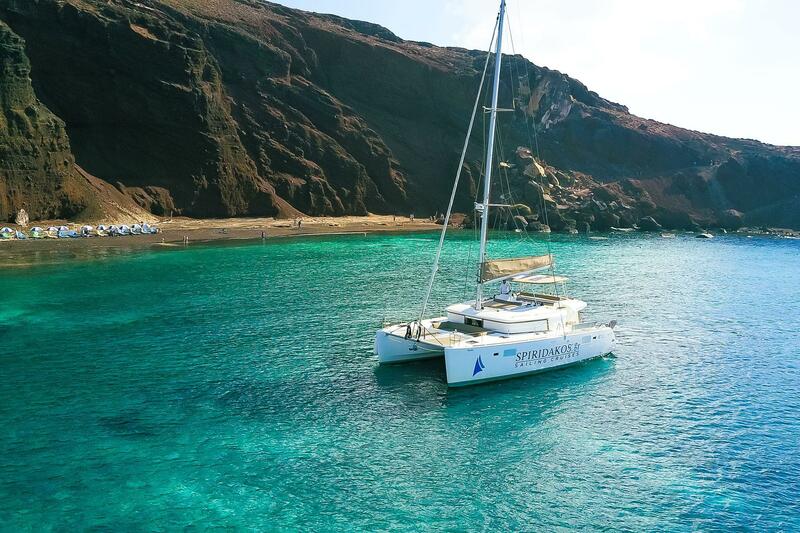 Experience the voyage of a lifetime and reserve memories that you will have long after you leave our beautiful Santorini. 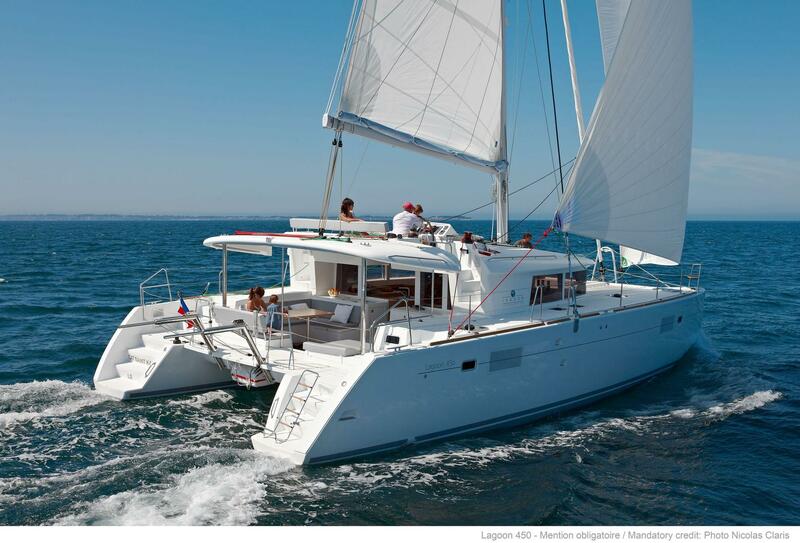 Our Catamaran S/Y “Caldera II” is the latest of the lagoon range offering smooth and fast sailing cruises. 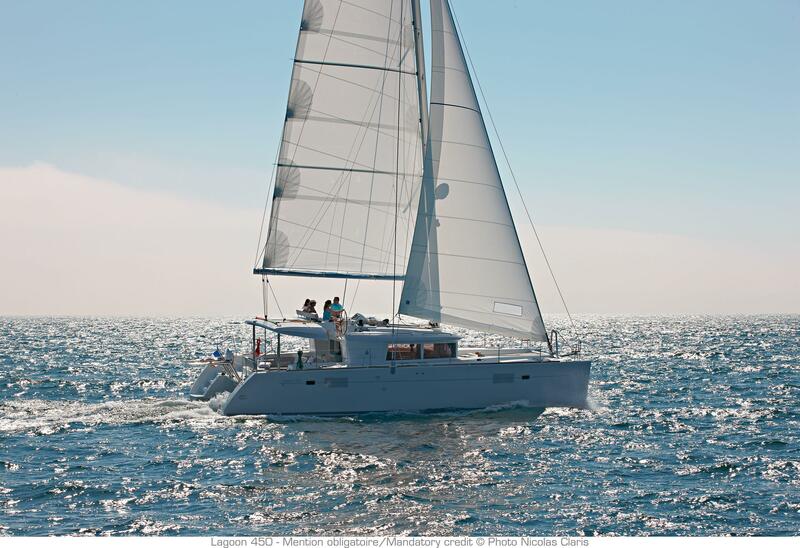 With exceptional expertise they offer 4 cabins with 2 separate washroom and shower. 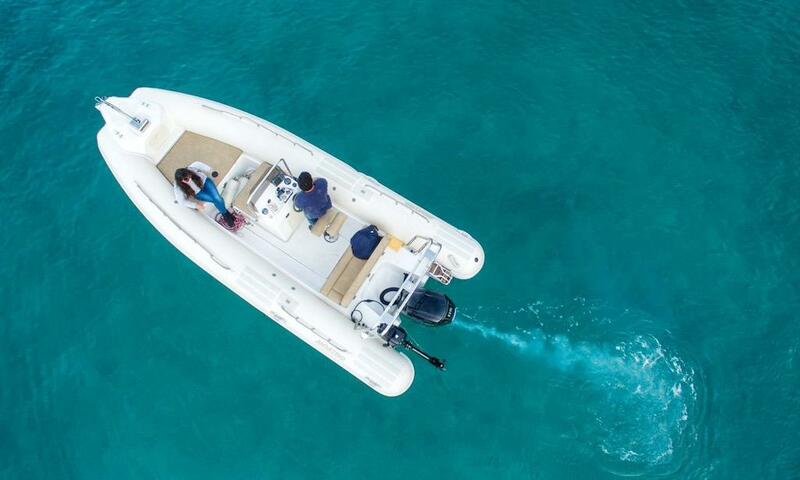 The Rib Boat “Captain Leo” is a 10m in length, luxury cruising inflatable rib boat with 2 Yamaha engines x 300 HP which ensures that any private cruise, tour or transfer itinerary that should be provided at your disposal will be on time, safe, easy way and mesmerizing. 1 Yamaha 150 Hp + 1 Yamaha 8 Hp, providing Shading. 1 Yamaha 80 Hp + 1 Yamaha 6 Hp, providing Shading.